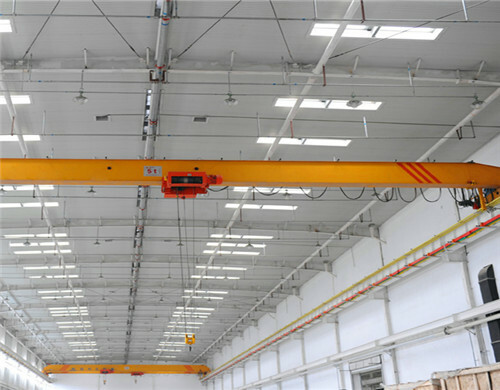 Generally speaking, the single girder overhead crane is widely used in the factory, warehouse, construction site and so on. It is a kind of lifting equipment for moving heavy objects across the workshop, warehouse, and yard. Both ends of the girder are located in the tall cement columns or metal supports and they are shaped like bridges. The bridge frame of single girder overhead crane runs along the track on both sides of the overhead frame. What’s more, it can make full use of space under the bridge frame to lift the heavy objects. The working process will be finished without the obstacle of the ground equipment. It is said that it is the most widely used and the largest number of lifting appliances. 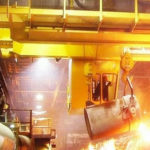 The single girder overhead cranes our company supplies is a kind of European single girder electric overhead crane that is the product using world advanced technology. The design is based on the international standard which is widely accepted in the world. It is tested by a world-famous agency such as the ISO in the international, the FEM in Europe and DIN in Germany. As a result, we have gained good reputations in the world market. With the development of our company in more than thirty years, our products have delivered into many countries in the world seven continents. It adopts the special steel materials which have strong rigidity and light dead weight. It has high working rate and can be operated easily. 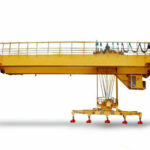 The using of the special material in the crane will prolong the service time. It is designed in the outstanding structure. Our company has professional engineers and designer who are responsible for the production and the quality of the machine. Our company always puts customers first and provides the best quality products at any time. With the development of our company, the structure of our machine is becoming better and better. Our overhead crane machine has the best design with the best configuration. The professional engineers in our company always make a great contribution in the aspect of technology innovation to the quality of the machine and the crane machine will become better and better through the innovation. It will effectively save your factory space and investment cost. 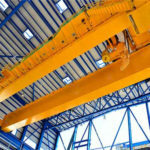 The single girder overhead cranes are located in the top part of the room so that it can work without the obstacle in the ground. The advantage of the overhead crane in a single beam is that it can save much space and it is convenient to move or lift the objects. All in all, the machines are cost-effective. The single girder cranes have a famous brand in the world. All of our staffs work hard to build the brand our company all the time. Our company always provides single girder cranes in good quality so we received good reputations in the world. Our overhead crane products are delivered into many countries around the world. Through the development of our staffs in these years, our company has become a world-famous brand in the world. 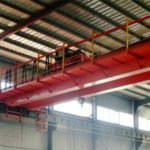 Single girder crane design in our company is scientific and practical. Under the guidance of scientific ideas, our company develops the quality of our machine so that our cranes are of good quality. Our crane has been tested by customers because of our reliable quality. We believe that you will be satisfied with our machine if you have a try. Our company has professional engineers and skilled workers to make innovation in order to improve the quality of our crane. Our company has gained many certificates in the world such as the ISO certificate. We also gained the certificates in China like a certificate of registration. 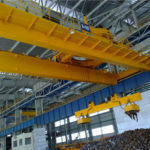 One of the most apparent differences between single girder overhead crane and double girder overhead crane is that the single girder overhead crane only has one beam, and the double girder overhead crane has two beams. The difference in the number of beams gives rise to the different rating load. 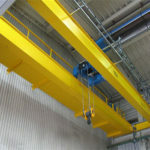 Generally speaking, the double girder crane has a larger rating load than the crane in single girder. The difference between the cranes is various rating loads, and there are many rating loads you can choose in our company. You can choose a suitable machine in accordance with your requirements. We will give you a suitable crane according to your requirements. The crane both in single girder and double girder has big coverage so that you can move or carry the things in all the directions. Both of them can work in all directions and it will take much convenience to you. As a result, they can meet your needs well. 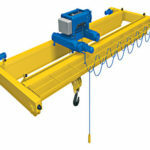 All of the cranes are in good quality so that you can use it in the peace of mind. The single girder crane design is particular in appearance and function. The single girder overhead crane price is different according to the rating load and configuration. Generally speaking, the higher rating load has a better price. However, it is possible that the price will be different if the configurations are different. It is up to the requirements of your working site. Dafang is a famous crane brand both at home and abroad. We are a professional company to supply crane machine that has reliable quality and reasonable price. 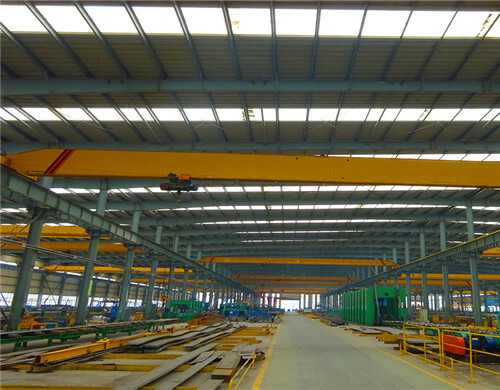 Our company can supply many kinds of machines such as an industrial overhead crane, workshop overhead crane and so on. We also provide customization according to your special requirements. All in all, welcome to contact us if you are interested in our overhead crane machine, and we are waiting for you here!